Wrapping things up here in Geneva. I’m staying the night with Sima and Steve, and they are dropping me off at the airport tomorrow morning at 7 am. I fly through Brussels, Dakar, and then I arrive at Roberts Field outside of Monrovia about 6 pm. 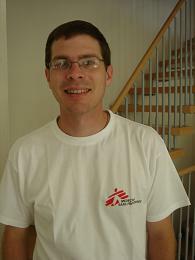 I’ll send an update from MSF’s office in Monrovia in the next couple of days.